I know it's hard to believe but after this extremely long winter, Spring has finally arrived and Summer is around the corner! This season Checked Blazers are making a huge come back and they are more fashionable than ever. Wear them with matching trousers, navy jeans or smart trousers, the choice is entirely up to you and they are so versatile that you can wear a shirt, t-shirt or polo with them. Here are my favourite ones for Spring-Summer 2018. This year Zara has a huge choice of checked blazer and that's good news, because they are affordable and well-made with a great design. This checked blazer is one of my favourites. I tried it and it looks amazing with a navy polo or t-shirt and a pair of navy jeans. The besom pocket at the chest with the pocket square is a nice detail. 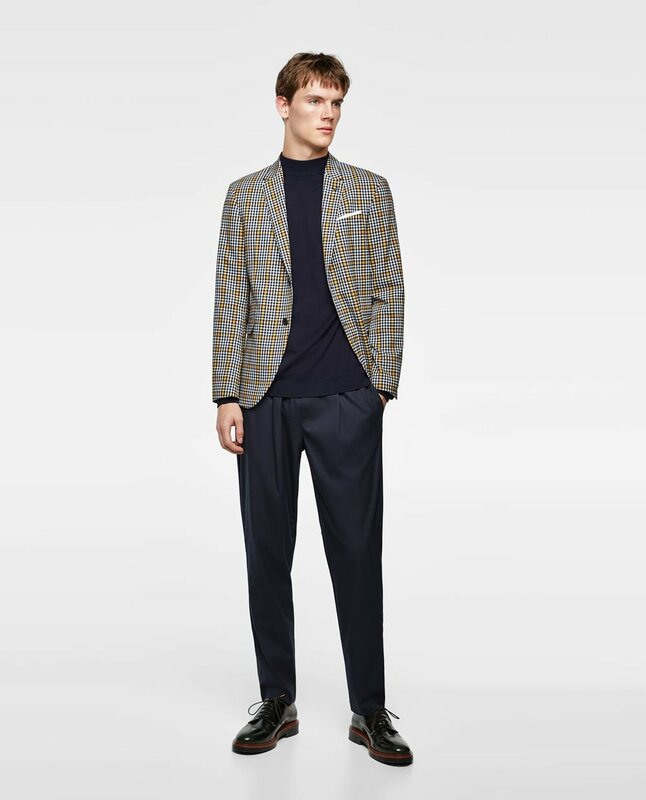 Massimo Dutti (part of the Zara group) wants you to feel stylish this summer with this linen checked blazer. It's the perfect complement to a nice Mediterranean look with beige trousers and white shirt. This linen blazer has a slim fit that enhances your silhouette. And as always with Massimo Dutti you can expect high quality of fabrics and finishes touches. Topman is following the "check" trend with this stylish grey blazer. It looks amazing with a dark shirt, and can be worn with or without tie. It has a muscle fit to outline the shoulders, chest and biceps. Available at Topman. Elegant and stylish, this blazer is made of a blend of wool and cotton fabric that will keep you cool in the summer. This blazer from Hackett London is perfect for a casual chic look, and enjoying a cool drink at the latest pub terrace. Thank you for reading, and don't forget to follow me on Instagram!